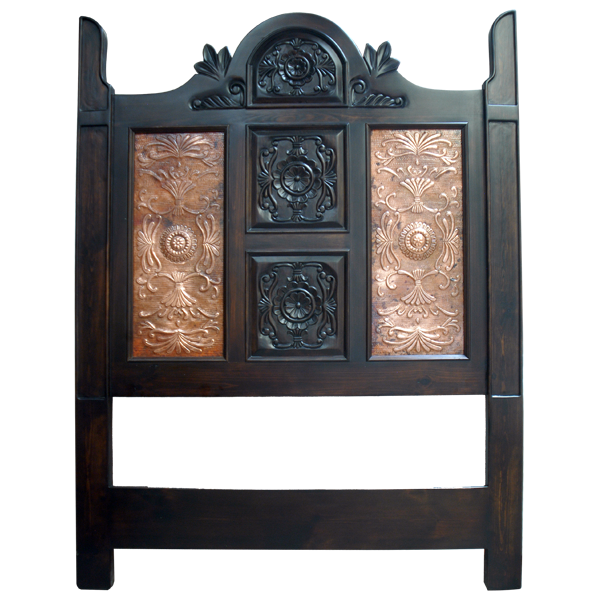 Adorned your bedroom with the opulent, dark finish and the incredible, hand tooled copper panels of this handcrafted, Spanish colonial style headboard. 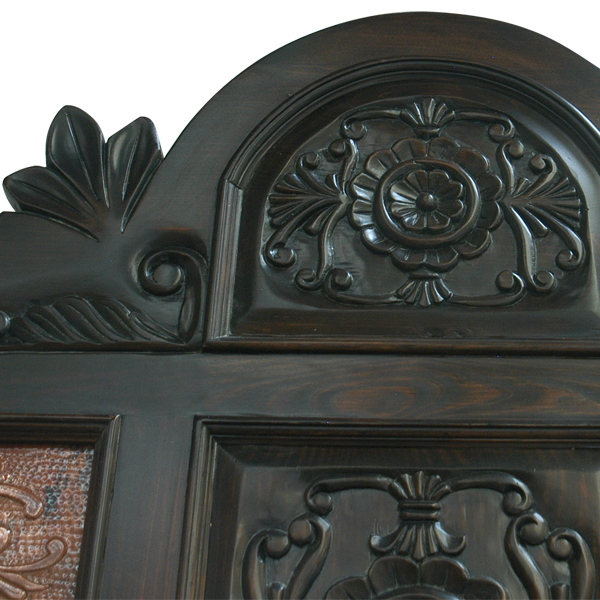 The headboard has a spectacular, rounded crest, and centered in the crest is an arched, solid wood panel with exquisite, hand carved, floral and scroll designs. On each side of the crest are hand carved uprights. Below the arched panel are two, vertical, square cut panels, and the panels are embellished with matching, hand carved, floral and scroll designs. On each side of the solid wood panels is a magnificent, rectangular, hand hammered, copper panel with marvelous, hand tooled, copper floral and scroll designs. The headboard is made with the best, sustainable, solid wood available, and it is 100% customizable.